Learning to manage and relieve stress can be a life-long process. Just as you find what works one time, circumstances change and you need a new plan. Notice that for complete stress management, you must address both your exterior world (what is stressing you) and your interior reaction to it. All of the tools below provide stress relief from many angles. They heal the body and the soul. They help you adapt to and accept your stress. Experiment with many techniques and see which one provides peace and space in your life so you can become vibrant. And have fun. Managing stress doesn’t have to be work. This is the place to get stress management advice. Tell your story. Talk about what bothers you. Share you worries and symptoms and get support from others. Sometimes when you are stressed, what you really need is a good friend. This is the place to get that help and start managing stress. 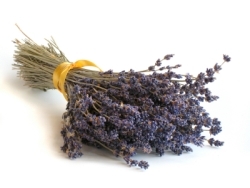 One of the best and most pleasant ways of managing stress is with Aromatherapy. The distilled essence of aromatic plants, essential oils, can be used in many ways to reduce stress emotionally and mentally. 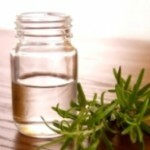 In addition, the essential oils contain the healing essence of plants. You can use pure, well-made essential oils therapeutically. They can increase oxygen in your blood, reduce cortisol, and help balance and heal. Getting to a massage therapist is nice, but what about managing stress if you can’t get a massage? 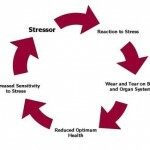 When you are stressed, your stress is transmitted to all parts of your body. Soon you notice that you are holding your shoulders near your ears, your back aches, and you are so tight that normal daily movements feel like you are encased in rock. Luckily, there are many easy techniques for releasing your tight muscles, increasing blood flow to rock solid shoulders, and helping relieve your achy back. Yoga has been long recognized as a great tool for managing stress. By practicing yoga regularly, you can unravel the knot of tension stored in your body. Your muscles will relax and your joints will become more limber. In addition, if you practice in a steady, quiet and focused way, your mind will quiet. Too often stress will “wind you up”, creating a habit of thinking and worrying which prevents you from stepping back to see that you are obsessed with the unimportant. This can disrupt your sleep, create havoc with your creativity and feed general crabbiness. By focusing deeply on your yoga pose, your mind has something constructive to do besides worry. It will fall back in line and you will find yourself much more centered and relaxed. Stress Management and Yoga: Managing stress and yoga go hand in hand. Find out why yoga is a fabulous exercise choice, and how it works to reduce your stress. Online Yoga and Stress Management: Online yoga is a great way to practice yoga–convenient, affordable and private. Add online yoga to your stress relief toolkit and get the benefits of yoga without the cost. For an Online Yoga Workout, try My Yoga Online: For a vast array of on demand yoga videos, you can’t beat My Yoga Online. Read my review here. Learning to watch your thoughts can be a boon to managing stress. Meditation can help to quiet your thoughts, to make clear what is real and what is illusion about your life. It can teach mastery over your reactions. And best of all, it can be a sweet haven to the chaos of your modern life. In the midst of the storm of stress, you have refuge in meditation. 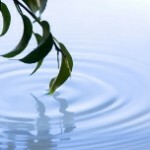 Meditation Tips: Aromatherapy meditation tips to help you ground and focus your mediation practice. What if you have taken care of your body, learned to say “no” to unimportant activities, practiced skillful time management and done 9 of the 10 things on everyone’s top 10 “stress reducing” activities? What if you are an expert at managing stress–but you still feel stressed out? Many times your stress is not from the external circumstances of your life, but from your internal state. Many times you need to look deeply, not just at the exterior of your life, but at the interior state of your heart. How spiritually connected are you? What do you know is your purpose in life? Do you waste time and energy shouting at the clouds? Can you find a place of quiet acceptance while still working to live in beauty? At other times you just need a fresh perspective. Maybe a good laugh. Maybe a good cry. Smart Goals: Can SMART goals save your life? What a broken leg, a cut rope and a blizzard can teach us about setting goals and managing stress. Spiritual Ways to Manage Stress: Reconnect with self, God and Nature to break the stress cycle and restore peace in your life. Managing stress, especially as a busy mother, is an on-going endeavor. Form a plan to give yourself the care you need, so that you can care for others. Find support, and make stress reduction a regular routine in your life.